THE PIPER SUPER CUB IS one of the best-known light aircraft. 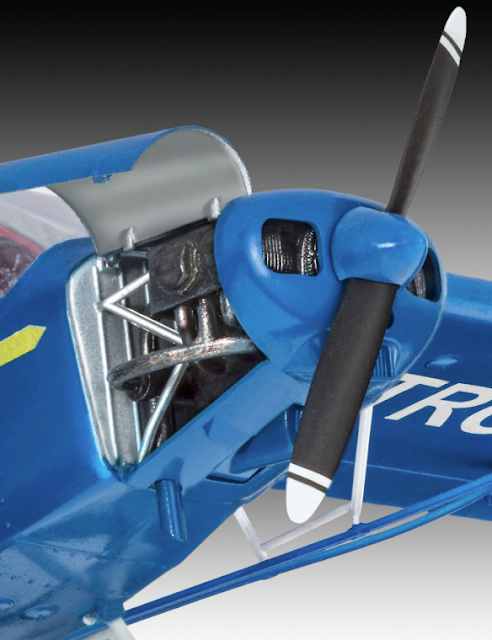 And here we have Revell releasing a 1:32 scale kit of this high-wing two-seater. SMN report: The Piper Cub and Super Cub are synonymous with sport flying, so the Revell PA-18 is a welcome kit. The Piper PA-18 light aircraft was mass-produced between 1949 and 1983 in various versions, and up to 1994 in smaller numbers. The panel could do with better instruments (below) and attention to detail here would do much to improve the interior. 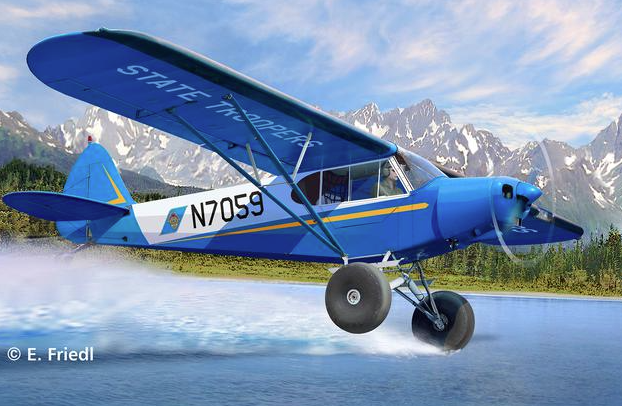 The light but sturdy aircraft is known for its excellent STOL (short takeoff and landing) performance, so is popular for flying into remote areas. The PA-18 is widely used in Alaska, where it is also known as the ‘poor man's helicopter.’ Fitted with 31-inch Alaskan bush tundra tyres, as supplied with this Revell kit, a Super Cub can land on snow, gravel, even on shallow waters where they shelve up to an open shoreline or river bank. The tyres (below) are well modelled, as are the struts of the landing legs. The tail area is neat enough, though note (below) that a single strand of rigging wire is required on either side,. I’m a lover of light aircraft, so the Revell Super Cub is high on my list of must-build kits. The instrument panel could do with extra work, but otherwise it’s a nicely detailed model. 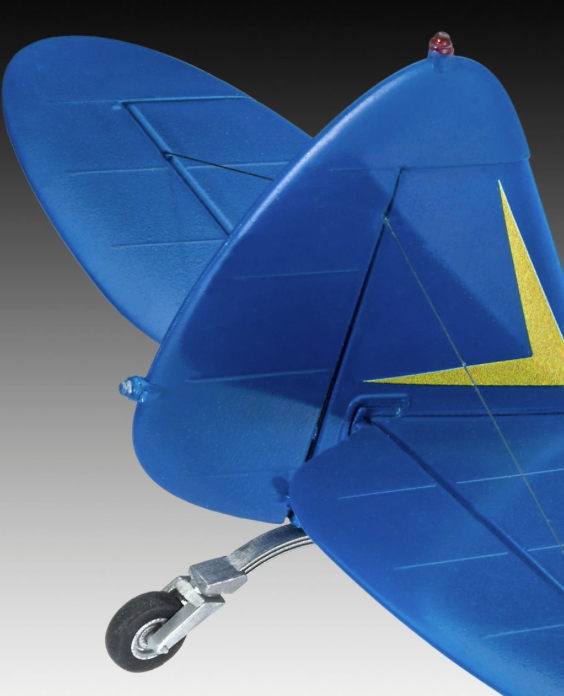 In real life, the Super Cub is a small aircraft, but the large scale chosen by Revell gives it a fair amount of desk-appeal, as the assembled model has a wingspan of more than 13 inches. So far as markings go, more than 40,000 Cubs and Super Cubs have been built, so there’s a near-infinity of choice. And in real life, here's what this baby can do (video below). Love it - want one! 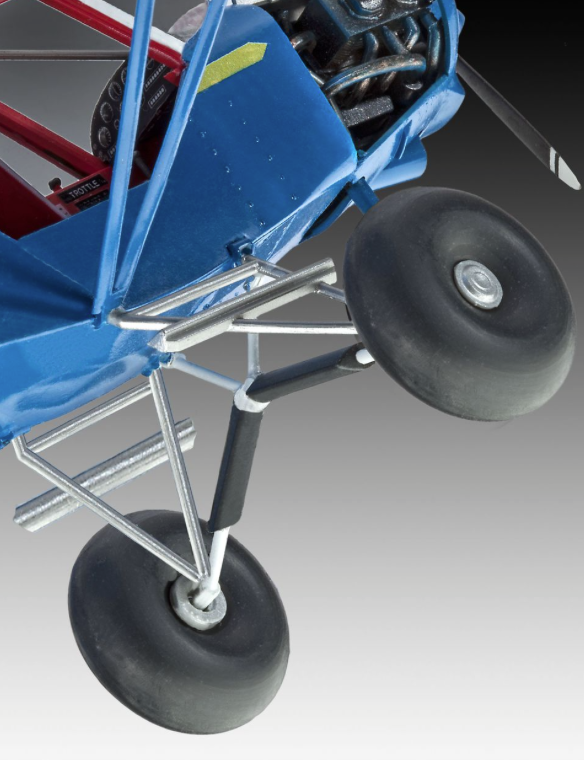 SMN note: If you fancy building a 1:1 scale Super Cub, then you might like to try assembling one in a garage. 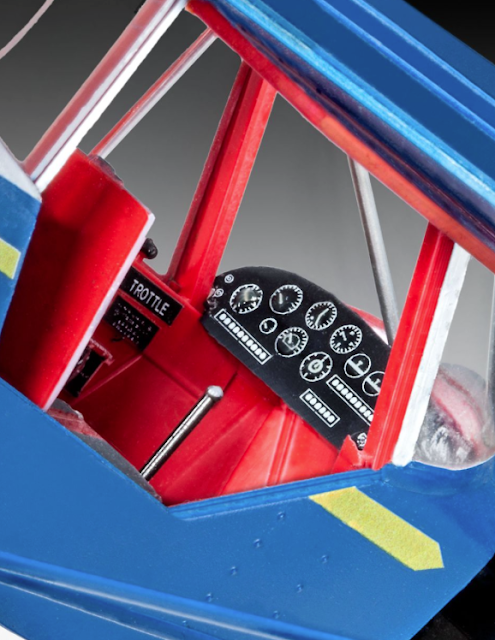 Visit KitPlanes for a comparo on the various Piper Cub home-built aircraft kits on the market.